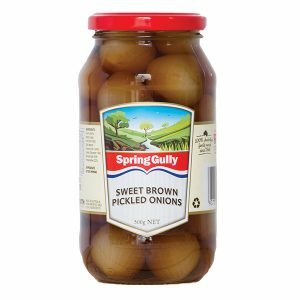 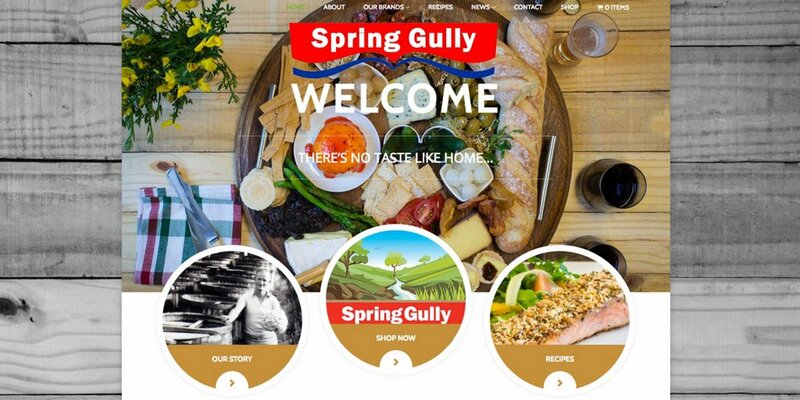 Spring Gully Cocktail onions are delicious little bursts of flavour. 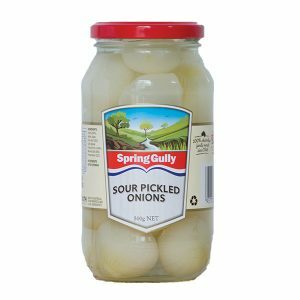 Children and adults alike love them straight from the jar, but they are also perfect for adding to salads, entertainment platters, or even as a garnish to your Martini! 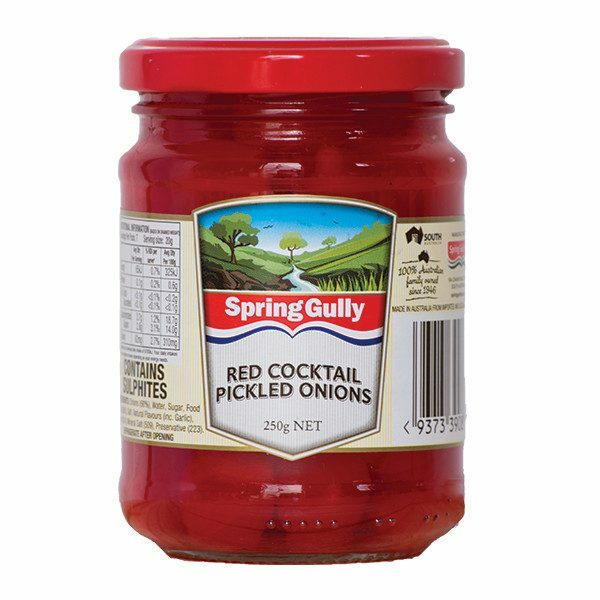 Spring Gully Cocktail onions are delicious little bursts of flavour. 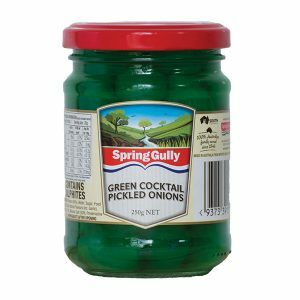 Children and adults alike love them straight from the jar, but they are also perfect for adding to salads, entertainment platters, or even as a garnish to your Martini! 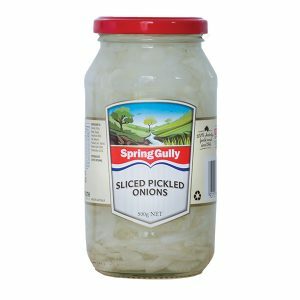 Available in white, green or red.